THE WORLD IS IN YOUR HANDS AT CHATRIUM HOTEL RIVERSIDE BANGKOK! 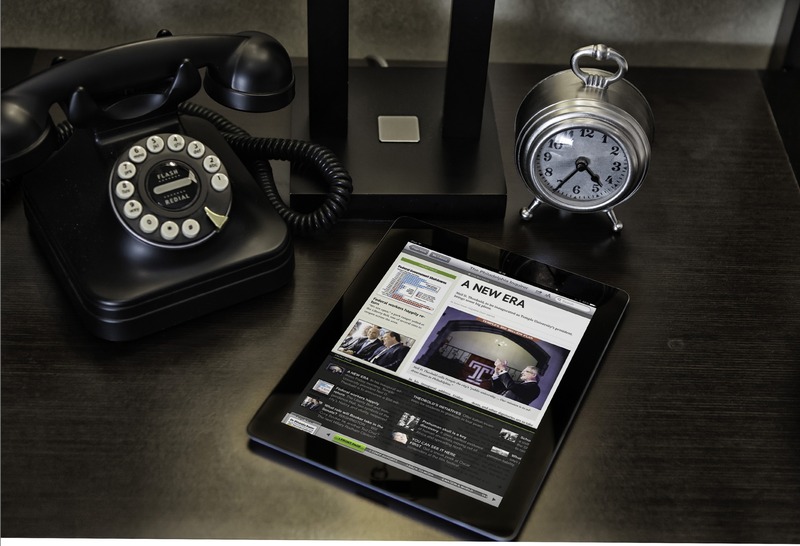 Stay connected with all the latest International and local news and all your favourite publications at Chatrium Hotel Riverside, Bangkok. 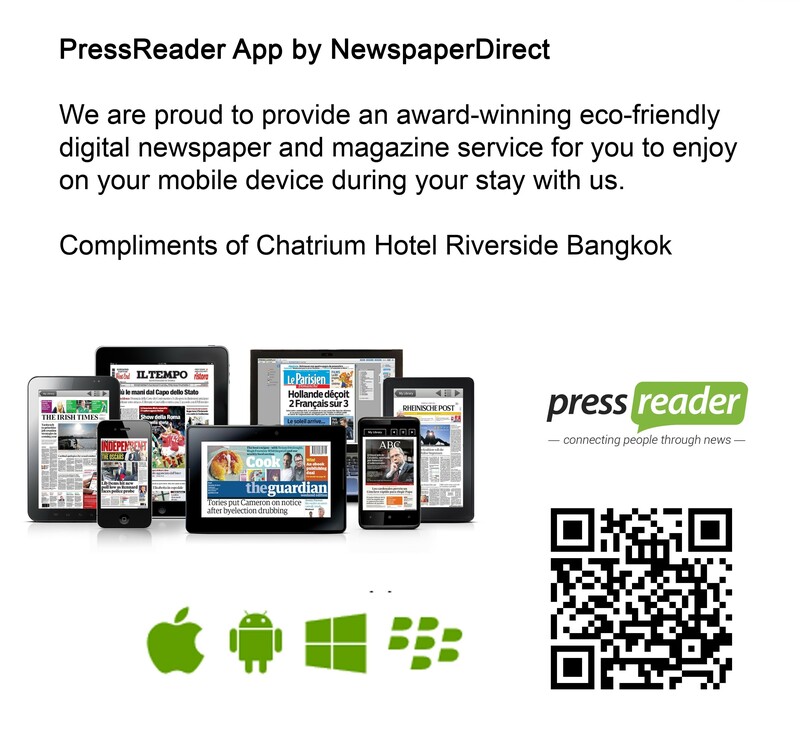 Available on any Android, Apple and Windows device, download the PressReader app at pressreader.com. and then simply connect to Chatrium’s Wi-Fi to access all the latest news and publications room around the world with our compliments. With over 2,100 full-content newspapers from 95 countries in 54 languages available before the editions hit the newsstands, at Chatrium Hotel Riverside you will enjoy reading complete environmentally friendly digital copies of your favourite publications. Live the remarkable and Think First Think Earth with paperless publications at Chatrium!